Guided float trips with the Montana Angling Company and our professional fly fishing guides are the ultimate way to enjoy fly fishing on the blue ribbon rivers near Bozeman, Montana. Our fly fishing guides use modern drift boats and rafts with fishing frames to allow our anglers to experience the best fly fishing on all of Bozeman’s finest rivers. From the broad waters of the mighty Missouri River, to the swift current of the Yellowstone River, to the riffle runs of the Madison River, and the cascading whitewater of the Boulder River, Stillwater River, and smaller freestone rivers, our guided float fly fishing trips offer our anglers unmatched diversity and quality. Our float fishing trips generally begin and end in Bozeman, MT with your guide picking you up at your lodging on a nearby local fly shop. From there you and your guide will depart for the day to fish one of the many blue ribbon waters near Bozeman, MT. The exact location of your trip will vary depending on the time of year and your preferences, but know our outfitter and guides work to keep your where fishing is best. All of our trips are custom, even our day trips, which means we work with each of anglers to ensure their experience meets and exceeds expectations. Anglers can expect to float approximately 6-15 miles on a full day float trip. Multi-day package trips are a great way to experience a variety of rivers and fly fishing. Our guided trips cater to novice and seasoned anglers alike and you can expect a fun and safe day filled with learning and great fly fishing. We offer float trips year-round but our trips are always subject to weather, flows, and other unforeseeable inclement conditions. Your safety is our primary concern above all else. All of our guides are experienced professionals that are CPR/First Aid certified and have years of rowing experience on our various rivers. Exact offerings for float fishing trips vary seasonally but our rivers are predictably, but not always, available to fish as follows. 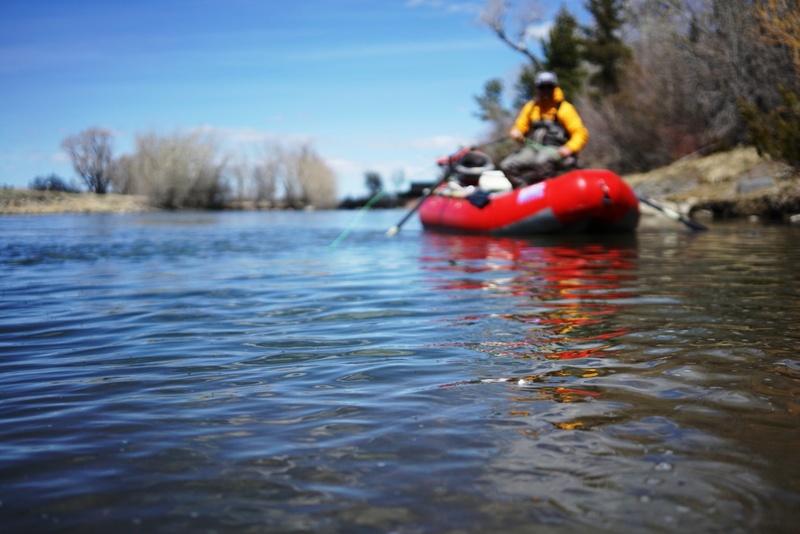 In the Spring our Bozeman, MT float fishing trips include the Yellowstone River, the Madison River, the Missouri River, the Jefferson River, and the Gallatin River. Our Summer float fishing trip offerings include the Yellowstone River, the Madison River, the Missouri River, the Gallatin River, the Stillwater River, the Boulder River, and the Jefferson River. Our fall float fishing trip offerings include theYellowstone River, the Madison River, the Missouri River, the Jefferson River, and the Gallatin River. Our winter float fishing trip offerings are very limited depending on daily weather conditions, but generally the Madison River and Missouri River are options. Want to know more about our Bozeman, Montana guided float fly fishing trips? Contact us with any questions or to book your next Montana fly fishing trip.